Keeping audiences engaged is key to any successful video service, but how are traditional content providers adapting to today’s market? Anna Tobin reports. With the exception of live reality shows and major sporting events, mass audience appointment TV is an experience few of our children may remember. In a matter of years, streaming services such as Netflix and Amazon Prime have rapidly encroached on the space that traditional linear broadcasters have owned for decades. These streamers have taken eyeballs away from trusted local and national broadcast TV schedules, and it’s not purely due to the freedom offered by anytime, anywhere viewing. The recipe for their success is the creation of an engaging user experience. But what are the key ingredients for this and how can traditional content providers compete? A seamless UX that allows the viewer to aggregate and access all their content from whichever device they are using, should also be clever enough to anticipate the user’s needs and this is where the latest technology comes in. “This type of interface relies on new technologies like hyper-personalised recommendations and the power of voice as an input method to rise above the experience of legacy systems,” says Charles Dawes, senior director of international marketing at TiVo. The TV remote was once a symbol of power both within the home and back at TV companies’ headquarters. Whoever had control of it had ultimate control of viewing. This is no longer the case, says Dawes at TiVo. “TV operators have for many years had control of the remote – their ‘brand in the hand’ – for the whole viewing session. However, as new entrants have come to market, and most importantly have been easy to access on the best screen in the house – either directly through a smart TV or via a cheap streaming adapter – this position has been challenged. Once a user has strayed from your service it’s hard to get them back,” he explains. “Therefore, having a user experience, like TiVo Experience 4, that can seamlessly integrate content from multiple sources becomes important for the operator in the retention battle. Exclusive content has always been the USP that linear providers have come to rely on, but all-rights deals are declining in importance now that so many TV platforms have added third-party services, including in some cases their old rival Netflix. Consequently, they’ve had to find new selling points and Smith-Chaigneau at Nagra reiterates that what will become increasingly important is being able to step seamlessly between different user interfaces. Linear broadcasters’ main advantage over their OTT counterparts is that they have full control of their signal. Content may not be as exclusive as it once was, but the quality and desirability of that content can differentiate one pay TV operator from another, points out Håkan Tranvik, co-founder of Magine. “Content is still king and even though you could say exclusive content deals have a declining value for pay TV platforms, it is still quality content that a consumer pays for and it is important to have prime content available in the service – sports, TVOD, latest TV series whether it is in own packaging or from a third-party service. Ease of content discovery is another way that TV operators can differentiate themselves from the competition. If the EPG allows the viewer to clearly see both the operator’s content and third-party content, viewers will be less likely to look elsewhere. Creating a consistent user experience, however, is complicated by the fact that many people in a single household consume TV content from a single entry point on many devices. “Creating a consistent user experience that can deliver ‘multiple access points’ e.g. via a simple menu, an advanced EPG, app store or recommendations portal and other journeys to content like voice search, caters for the spectrum of tastes and age groups that want to use the TV ‘their way’. Allowing for multiple journeys means users get the feeling that the experience is personally designed for them,” says Smith-Chaigneau at Nagra. By the time anyone is using a TV operator’s service, they’re normally a paid up subscriber, but that doesn’t mean that the marketing team has done its job and can move on to the next potential customer. “While it’s by no means the lead part of any strategy, the UX of a service does play a prominent role in marketing a service, given how it is the way that potential customers will first perceive the service,” says Berry at Airbeem. If you get the user experience wrong, churn will rise and the poor customer service will become a talking point – not just through word of mouth, but through social media where it could easily go viral. Bundling OTT content with regular linear content can also be used as a selling point by marketeers, who can demonstrate to the user the benefits of having all your content accessible from one central point. Crucially, linear TV operators need to be flexible so that marketeers can implement new user-experience strategies quickly. “Newer user experience and content management platforms make it possible for small teams of schedulers and marketers to test, adapt, and evolve the front-end without needing to involve the engineering department at all,” says Downey at Massive. “It’s a way to redesign the UX, introduce new content layouts, rebrand the service, and even completely flip the business model in response to changing demands. 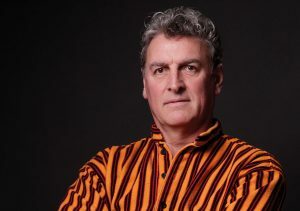 Marketers can also use platforms like this to push promotional up-sell campaigns to specific audience segments without needing to update the service via the set-top box or connected device,” he says. What now for legacy boxes? Many established TV operators have numerous legacy set-top-boxes deployed across their subscriber bases that don’t have the capabilities of more advanced devices – a handicap in this competitive market. 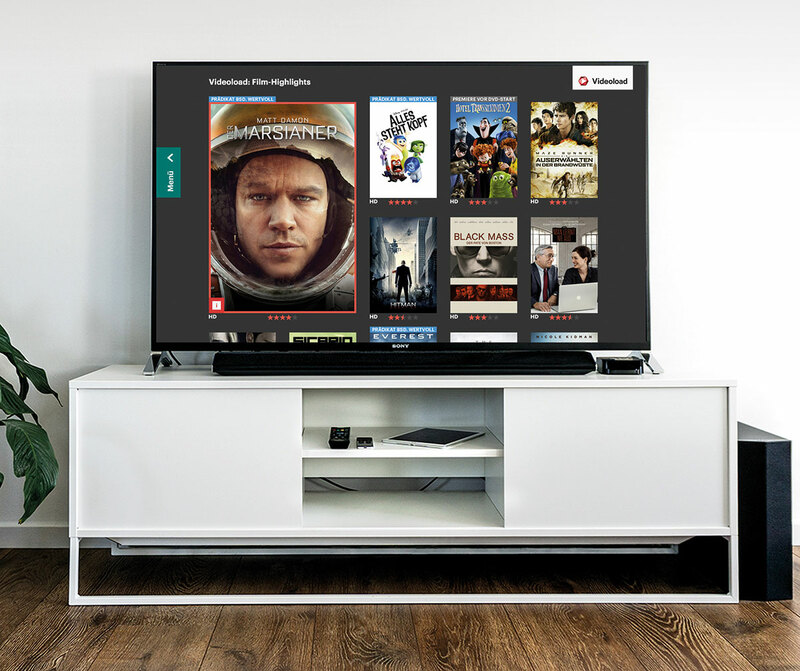 Magine uses the same framework for IPTV boxes and mobiles. If legacy boxes are up to date enough to work with cloud-based software, they will also be in a better position to compete with other operators, says Smith-Chaigneau at Nagra. Investing in advanced operator-controlled set-top-boxes should give operators more control over their Quality of Service and Quality of Experience and increase the longevity of the box, so it could pay off in the long term. Combined with a more complex remote control, a managed STB will provide much more functionality than a simple OTT device. Some operators are using the introduction of 4K to upgrade their whole service, points out Dawes at TiVo, and some are even letting customers use their own devices. Get the user experience right and viewers will be automatically loyal to their box and the TV operator’s service and one thing that viewers like about their box is its record function. 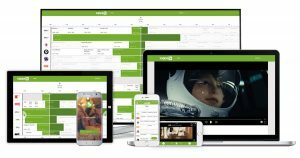 “The ability to record live TV has sat with traditional set-top-boxes and this functionality continues to resonate with users. Users want to record more programmes at once and to watch them back on any device, says Sutherland at Freesat. “Amazon’s Frank DVR could potentially present a threat to this, though details on the exact experience are limited at this stage. Control the signal, provide the right content and make it easy to access anytime anywhere and ‘traditional’ TV providers should always be able to trump OTT. If they slip up on any one of these they will find their viewers looking elsewhere.